Mercedes-Benz User Experience (MBUX) is a whole new type user experience. The company recently unveiled all new level of interaction in its cars. It is a new kind of infotainment system that learns. It incorporates Artificial Intelligence which enables immense new possibilities. The MBUX creates a new emotional connection with the user. The new system adapts to the user and other co-passengers' needs. Hence, new kind of interaction yields more positive user experience. Furthermore, the system software will get over-the-air updates. The natural speech recognition gives more user-friendly experience. The touchscreen and augmented reality in navigation create better interaction than ever before. The design of Mercedes-Benz user experience. The operating system of new MBUX interface has three levels of the display screen. Each level gives more information with deeper insights. The first home screen has navigational main menus. It displays important information like arrival time, current music track etc. alongside the main menu. The next level of the screen is the base screen. The base screen shows controls for the main application. This screen is just one touch away. The current running application now takes the position at the bottom edge of the screen. The last screen is the sub-menu. It gives access to rarely used information and settings. The horizontal display cluster gives more space for easy navigation. The whole display is completely customizable by individual preferences. Mercedes-Benz user experience also has a full-screen mode. 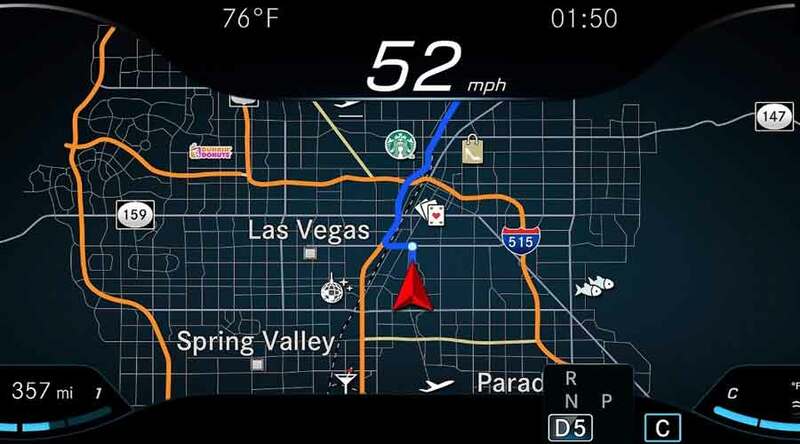 In this mode, the entire display shows navigation and assistance. The new voice control system is now enabled with natural speech recognition. The MBUX linguatronic understands almost every command related to vehicle control and infotainment in natural language. The system also understands the iteration of the same question in a different format. You can activate voice command feature by saying 'Hey Mercedes' or by using the button. The Mercedes-Benz user experience is smart enough to give answers to the questions in different dialogue output. Hence, no more same answers. The voice control also keeps on learning and it knows language change over time. So, it knows the trending words and it is able to understand them accurately. The Mercedez-Benz user interface is touch sensitive and controllable in three ways. The user interface has a touchscreen, touchpad, and touch-control buttons. The touchpad enables the control of the screen just like our smartphone. The touchpad also recognizes the handwriting. So, you can save phone number on the go. The zoom in and out by multiple fingers is helpful while zooming in or out on maps. The gesture control gives ease of operation without touching anything. The touch control buttons on steering wheel enable the driver to control the system without taking hands off the steering wheel. The Mercedes Benz Me service. The new generation MBUX comes with new 'Mercedes Benz Me Connect' service. This service helps to locate the vehicle in the parking lot. The Me service also alerts the owner if the authorities tow the car. The new Me service also comes with the Car-to-X communication system. This system alerts the driver about the changing road conditions and shows approaching emergency vehicles on the map. The Mercedes Me app also alerts driver for next appointment through his smartphone. So, you will never miss an appointment as Mercedes Me will also take into account the traffic conditions. The Mercedes-Benz user experience has prediction features. The system predicts the next step user takes on the basis of the behavior of the user. Say if someone makes a call every single day on a specific time and journey, the system automatically displays the number during that journey. The system also saves individual preferences and predictions in a separate profile. If the car has multiple users they can select their profile easily. So, you are ready to go with your favorite settings and enjoy the drive. 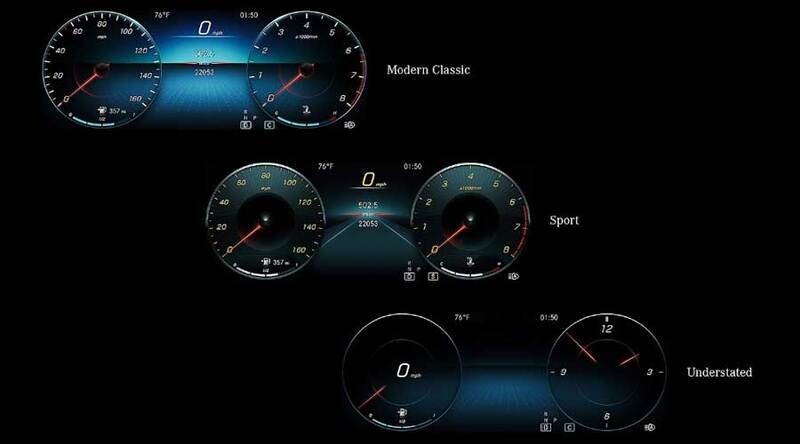 In conclusion, the Mercedes-Benz user interface (MBUX) is setting up a new benchmark in the infotainment experience. The addition of AI and natural language processing is taking the platform at par with the competition.